CaseManager is a flexible, high-performance data management and reporting system for employment, training, and human service programs. It offers comprehensive support for Workforce Investment Act, Youth Opportunity, STRIVE, Work First, Welfare to Work, Welfare Reform, Food Stamps, Housing, Adult Learning, and more! 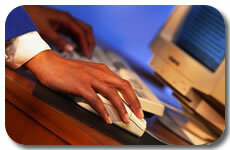 Design and implement a data management system custom-tailored to the programs they offer. Increase efficiency and minimize data duplication by managing multiple programs with a single application. Minimize staff instruction and technical support requirements by eliminating multiple data management systems. Generate real-time reports in a variety of configurable summary and detailed views. Quickly respond to changes in data management or reporting requirements. Define role-specific security profiles to ensure that staff have appropriate access to participant data and system features. Securely access the system from any location with an Internet connection. CaseManager separates the data collection process into a series of modules, which can be combined in various ways to support any employment, training, or human service program. Base modules include configurable support for demographics, activities, jobs, case notes, supportive services, tests, participant grouping, overall status, reminders, referral information, and more! Customized modules have been created to satisfy unique customer requirements including intake form generation, eligibility calculation, Individual Service Strategy management, comprehensive assessment, program surveys, a variety of follow-up tasks, and more! CaseManager includes over 300 reports in a variety of summary and detailed views. Additional reports can be created to satisfy unique requirements. Point and click interface - No knowledge of Structured Query Language (SQL) or third-party reporting applications is required. Real-time access - The system reports current information as it exists in the live database, not stale information from a static data store. Configurability - Users can specify a variety of report criteria, including the source data pool, time period, columns, column size, and column order. Once a report is displayed, users can sort and filter the results as needed. Graphing - Tabular report data can be instantly displayed as a bar, column, or line graph, or as a pie chart. Save as - Users can export reports to their PC in a variety of file formats including Excel, dbase, HTML, comma-separated, and plain text. Direct customer record access - Users can access customer records directly from a report, modify the record as desired, then return to the report to see the modification(s) reflected. Session encryption - All CaseManager sessions are 128-bit encrypted, and additional security measures are available, including virtual private network (VPN) and extranet solutions. Unique logons - All CaseManager users are assigned a unique user name and can specify a personalized password. User security profiles - All CaseManager users are assigned to a security profile that defines the system features and participant data he/she has to. The profiles are customized for each customer and are typically based on roles within the customer organization. Organizational security - Customers can define how participant data is shared among programs internally, and among partners and service providers externally. Electronic Data Record Signatures - Each data entry is electronically stamped with the name of the person who last updated it, and the date the update occurred. Tab-based data collection - CaseManager organizes the data collection process into a series of tabs, creating a "virtual file" for each participant. This intuitive interface allows users to enter, access, and manipulate participant data quickly and easily. Data list displays - CaseManager features spreadsheet-like lists that provide users with "at-a-glance" summaries of participant data. Visual cues - CaseManager utilizes color-coding to indicate which data fields are required, which are optional, and which are system-generated. Edit checks - Where appropriate, CaseManager prompts users with informational dialogues and confirmations to ensure accurate data entry. Data entry wizards - Where appropriate, CaseManager guides users through data entry processes with easy to follow, step-by-step prompts and dialogues. For more information see the CaseManager Highlight Sheet (requires Acrobat Reader), or contact KidSmart's sales department at (248) 352-9600 or sales@kssc.com.